‘All tradesmen and deliveries to the basement’, says a small sign by the large front door. I wasn’t quite sure if it applied to me as I pulled the doorbell to meet the building’s current and eighth owner, Roger Amerena. One of a set of several bells rang loudly. Each bell would have signalled to a particular member of staff that they had to be in a particular place – sharpish. This is just one of the meticulously maintained features of Brighton’s finest late Regency detached villa. 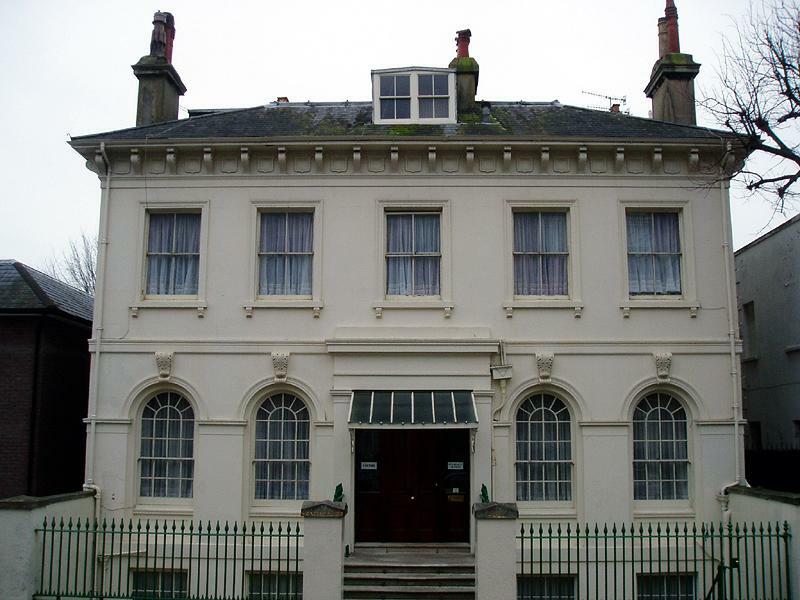 Montpellier Hall, on the south side of Montpelier Terrace was constructed in 1846 for Henry Smithers, the sixth Mayor of Brighton and owner of the North Street Brewery. The name of the area changed from Montpellier to Montpelier but, perhaps because it was set into the entrance pillars, Montpellier Hall kept its original name; hence the difference in spelling. 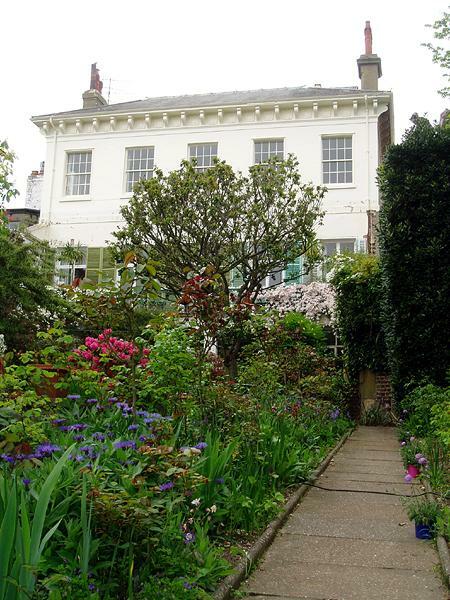 It was designed by Amon Henry Wilds in the Tuscan style and built on land that once belonged to Thomas Kemp whose house, the Temple (now Brighton & Hove High School), is on Montpelier Road. There are 4 floors, 5 bays, 22 rooms, 17 fireplaces and 16 chimneys. A late Victorian dumb waiter runs from the basement to the dining room on the ground floor. It has several electroliers – gasoliers that have been converted to run on electricity. The drawing room contains a large portrait of Sir Joseph Ewart, the building’s third owner. I was particularly fascinated by the intricate espagnolette lock mechanisms on the large doors that lead onto the Portland stone balcony. From there, as the plot slopes, it is possible to enjoy a fine view of the rear garden which is a 250ft oasis, despite backing onto Waitrose. Montpellier Hall must have been one of the first buildings in Brighton to use sheet glass which was expensive but available in large panes. However, smaller panes of the cheaper spun glass were installed in the basement windows for the staff. Glass was still very fragile though so storm shutters were a necessity. There is a dormer window on the second floor at the front but not the rear – would you want your servants peering at you in your garden? The Reverend Thornhill, the sixth owner bought for £4750 in 1910 and sold for just £4350 in 1953. The building is, of course, worth significantly more now – in terms of history, it’s priceless.